It has become quick and easy to share pictures. Email, texting, and Instagram work well for individual images, or you can create online albums on Facebook and other social platforms. Those are OK for everyday shots, but personal moments and important events deserve something more meaningful and private. My friends at Album Envy have the perfect solution and it allows you to customize your very own photo album, just like in the good old days. 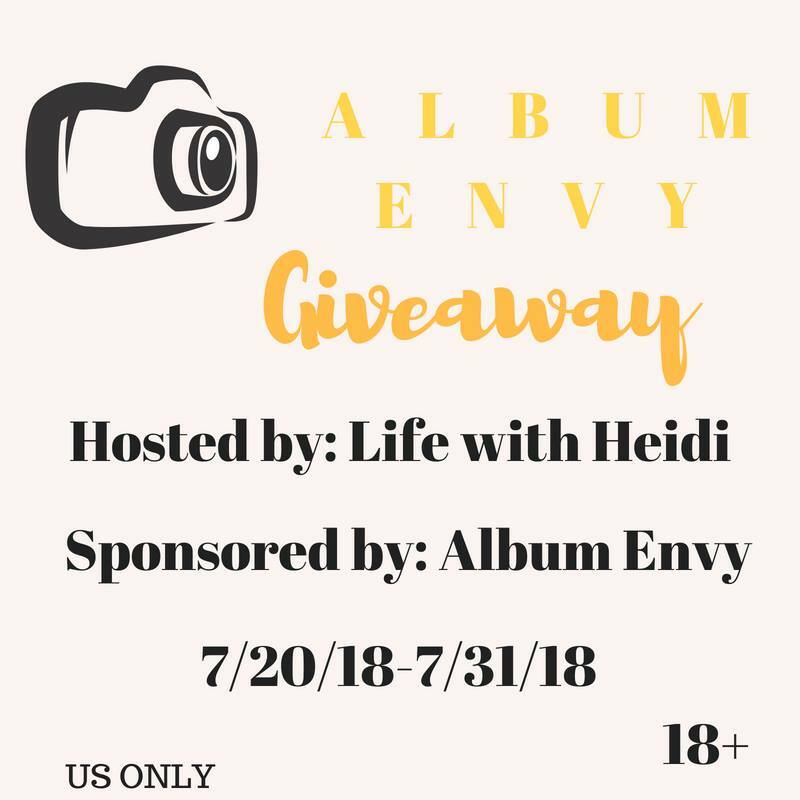 Life with Heidi partnered with Album Envy to help bring you this awesome giveaway and everyone should check out the Photographic Storytelling for tips and tricks on how to create the perfect photobook. Must be 18 years old or older US residents in order to win. Dates will be 7/20/18-7/31/18 (at midnight CST) Winners have 24 hours to claim their prize via email. Album Envy is responsible for shipment of the prize, not the individual blogs helping promote this event. Disclosure: The opinions expressed are my own and may differ from yours. Life with Heidi or any other blogs promoting is not responsible for prize shipment. I would make an album of my solo road trip I just finished!